Valencia had a positive start to 2017 with great news for the MICE sector as the Valencia Convention Bureau has already confirmed several future events that will bring more than 2600 delegates to the city. Amongst them is the congress of the European Council of Enterostomal Therapy (ECET), which will be hosted in Valencia in 2019. More good news is the continuous improvement in the city’s connectivity. There will be no less than 23 new international air routes from Valencia for the coming spring-summer season, with a total of 300,000 seats. This includes direct flights to Copenhagen, Glasgow, Edinburgh, Budapest, Marseille and Milan-Malpensa. 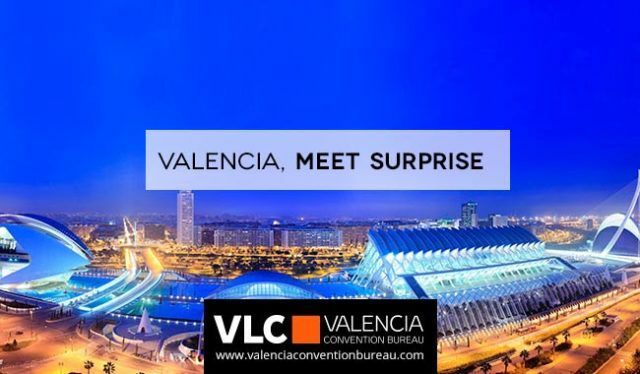 Besides, the Valencia Convention Bureau will be present for the first time at the Pure Meetings & Events workshop, held next week in Paris, as well as at the MIS Summit organised by Eventoplus magazine and the next MPI (Meetings Professional International) conference that will take place in March in Madrid and Granada. To promote Valencia as a MICE destination, the Valencia Convention Bureau has also signed agreements with the Business Foundation of the University of Valencia (ADEIT) and the Polytechnic University to attract and organise joint meetings and conferences and create a Club of Ambassadors of the city.